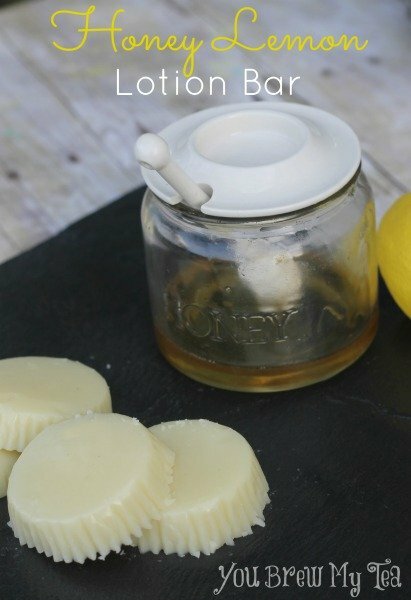 This homemade Honey Lemon Lotion Bars recipe is the perfect way to usher in spring and moisturize your dry winter skin with a safe and lush product. Often times the beauty products you buy at the store are more harmful for your skin than good. Using organic as much as you can will make it even safer for you. Since it is so simple to make them and so inexpensive to stock up on these for yourself or gifts it is worth the extra effort to get in the kitchen (yes the kitchen) and mix them up! This recipe uses loads of ingredients that are known to moisturize and condition skin so lets get started! 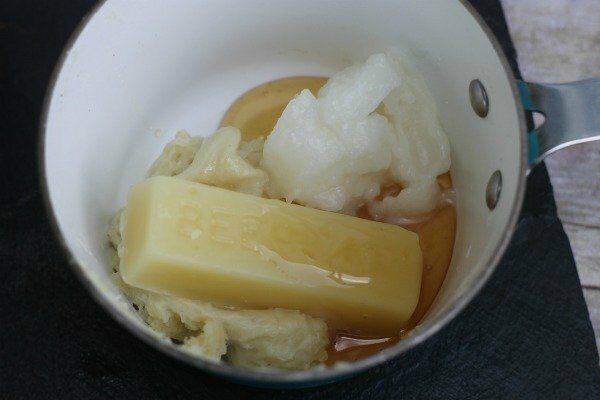 Place beeswax, olive oil, and shea butter in a small saucepan over medium low heat. Stir frequently until melted. Remove from heat and allow to cool for 3-4 minutes, until temperature has reduced but it hasn’t yet begun to set. Stir in coconut oil, honey, and lemon essential oil. 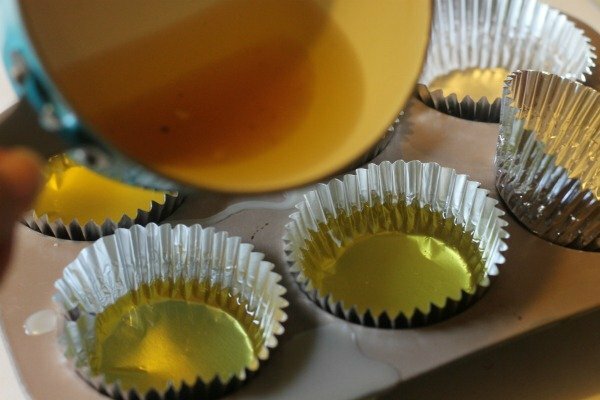 Pour into silicon mold, paper cups, or as I did this time- foil cupcake liners. Allow to set completely, remove from mold or liner. I keep mine refrigerated when not in use, will soften considerably in warmer temps- this is also very refreshing in the hot summer months. To use: rub gently over skin, your body heat will warm up the lotion bar and leave a nice coating of moisture over your skin. 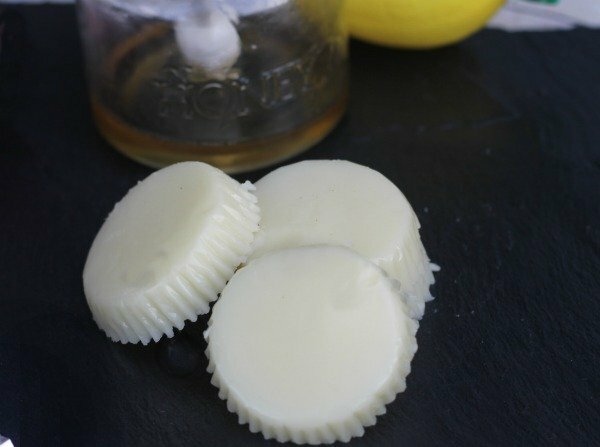 These honey lemon lotion bars are so easy to make and great for your skin. They are a perfect alternative to the many chemical laden lotions out there. You can easily add different essential oils for a preferred scent. Add these to a basket along with some of our other homemade beauty products, for a wonderful gift basket full of love! 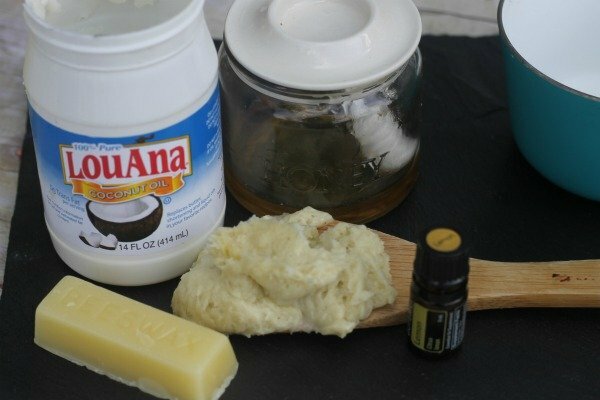 Check out our other favorite homemade beauty products!